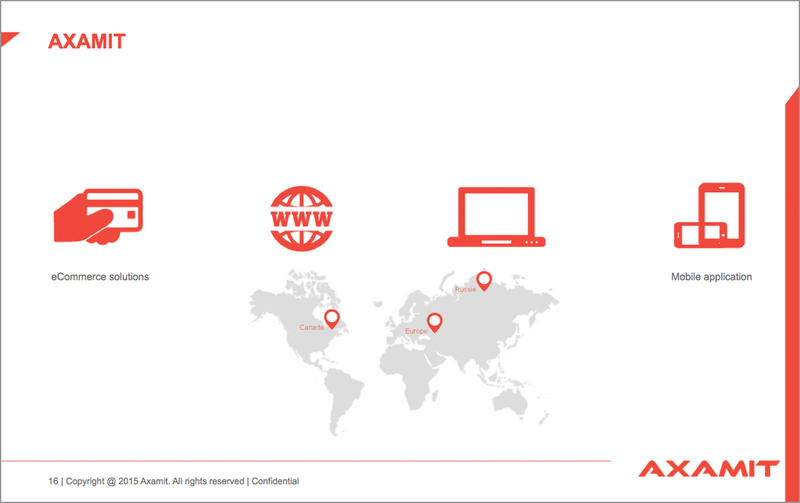 The Axamit firm/Group is a leader in the field of software development for multinationals. 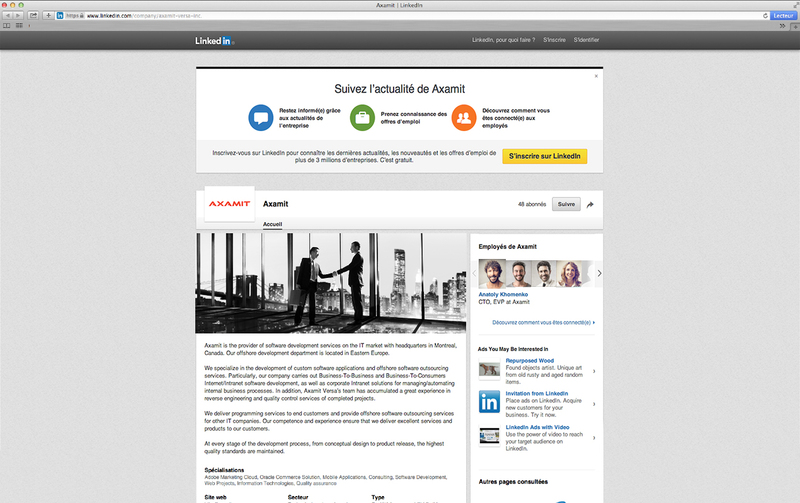 The company has offices in Europe and North America. 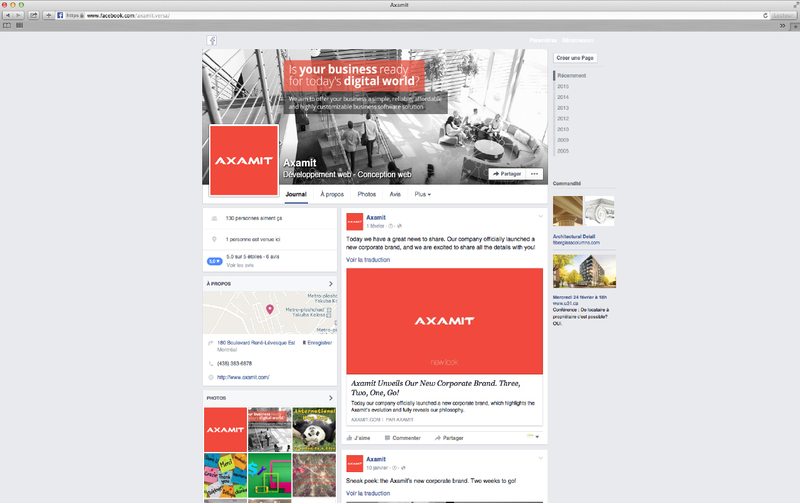 Objective: Axamit’s European branch asked us to rethink its communication tools in order to gain more visibility in the Canadian market. 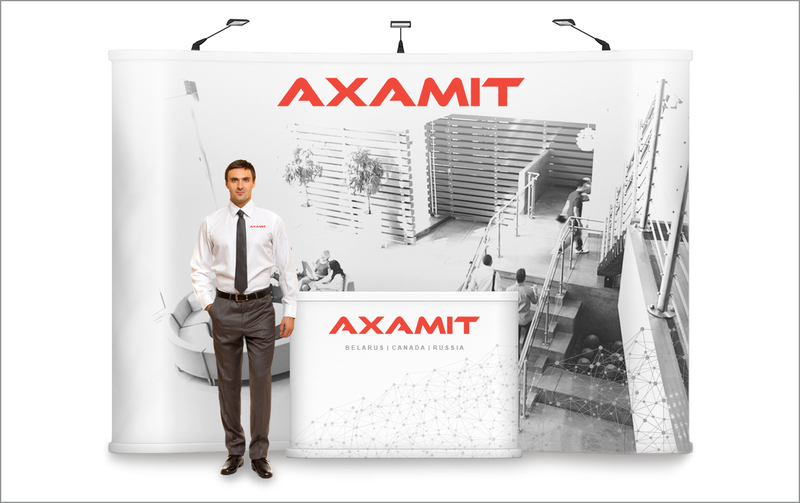 We were asked to create a strong brand image adaptable for all of its offices. This new image would help support the international growth of the company, expand the company’s exposure on a national scale, and increase the number of its major customers. By so doing, we can confirm its position as the leader in the field of B2B software development in Canada. 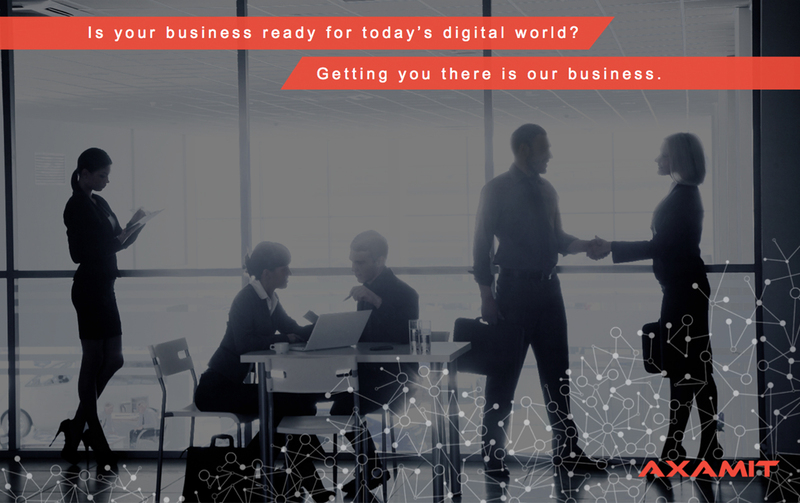 Among Axamit’s major clients are several well-known multinational companies, including Barclays, KPMG, PUMA, Dell and Guess. Following a thorough analysis of the competition, we created a more contemporary logo and chose a new corporate colour. 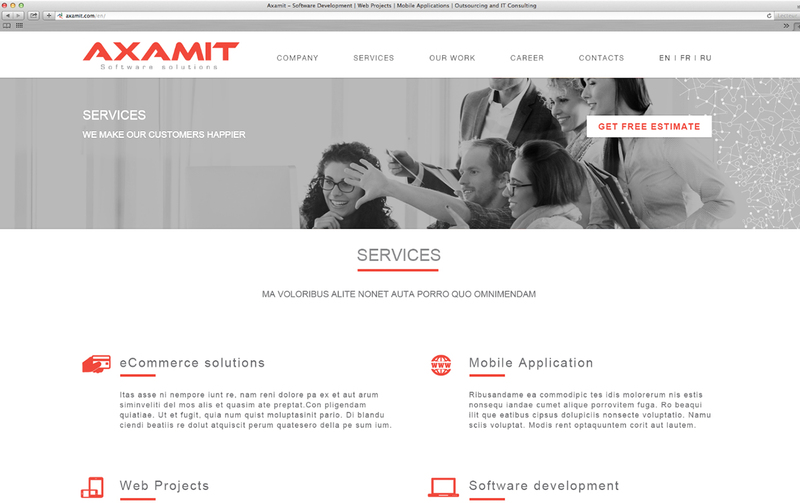 From there, we completely redesigned the visual identity of the company. H20 communication wanted to present the company as a strong leader to be reckoned with in the software development field. It was therefore necessary to create a professional and unique image in the programming field, but also a visual identity that would age well over time. In addition to the new branding, we also restructured the company’s entire communication strategy: brand architecture, overview of its services, graphic standards, corporate signature, corporate presentation, applying the branding on clothing, and integration. 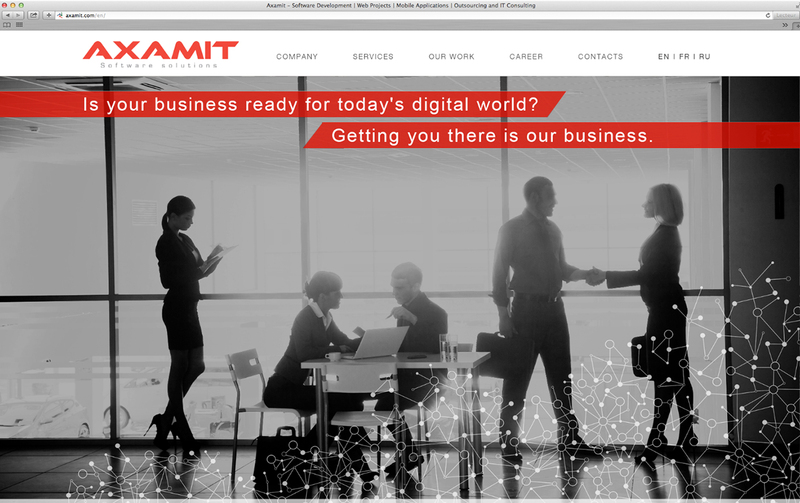 We also designed the company’s new website, giving it a modern and sleek look that is harmonious with its new image. 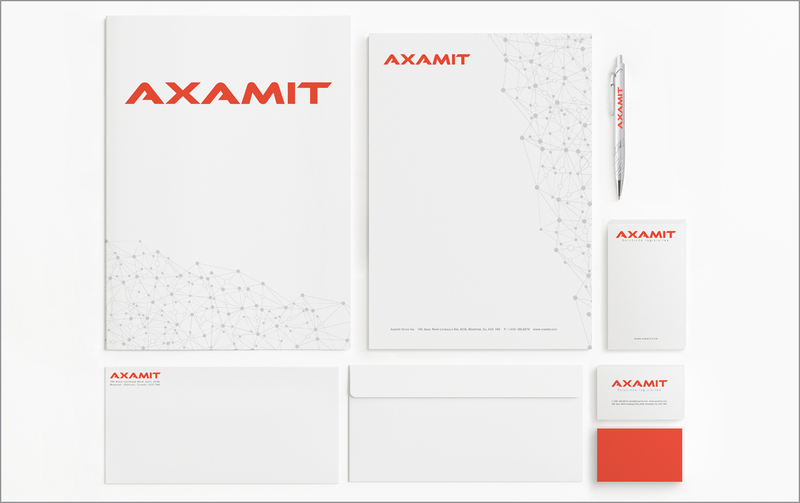 Results: We created a unified brand image that now encompasses all Axamit offices, in both Europe and North America. 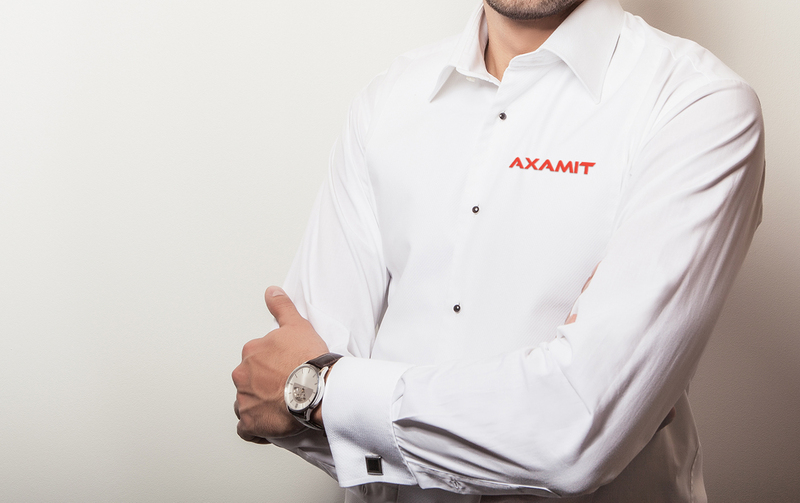 Axamit is a now a leader in its field. Since the launch of the new image, the company has experienced an increase in revenue, a sharp rise in brand awareness, and has perceived the emergence of a feeling of belonging among employees toward the new identity. The company continues to shine on a national and international scale.